REN21’s Renewables Global Status Report provides a comprehensive and timely overview of renewable energy market, industry, investment, and policy developments worldwide. It enables policymakers, industry, investors, and civil society to make informed decisions. The report covers recent developments, current status, and key trends; by design, it does not provide analysis or forecast. 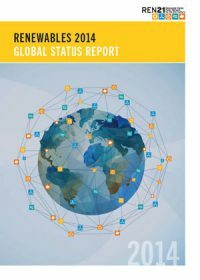 The Renewables Global Status Report relies on up-to-date renewable energy data, provided by an international network of more than 500 contributors, researchers, and authors. 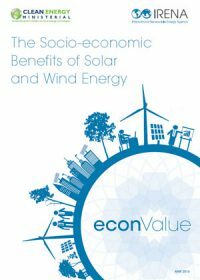 The Socio-economic Benefits of Solar and Wind, an econValue report, bridges the knowledge gap with a holistic analysis of the environmental, social and economic value created from large-scale solar and wind energy deployment. In doing so, it offers a new conceptual framework in support of ongoing analytical work conducted by IRENA and other partners in the Clean Energy Ministerial with a view to reinforcing the economic and business case for renewable energy. 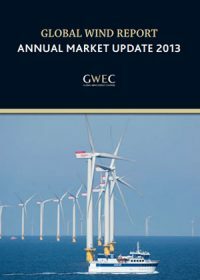 This is the ninth annual report on the status of the global wind industry by the Global Wind Energy Council. It provides a comprehensive overview of the global industry at a moment in time; an industry now present in more than 80 countries, 24 of which have more than 1,000 MW installed. The information contained in the report - market data, profiles and analysis have been collected primarily through GWEC’s member associations around the world, as well as from governments and independent analysts. 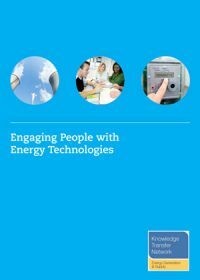 With the support of a number of experts in this area, the Energy Generation and Supply Knowledge Transfer Network (EG&S KTN) has produced this report, which provides an overview of the current research on public perception and engagement with energy technologies and how this may impact on the energy industry. 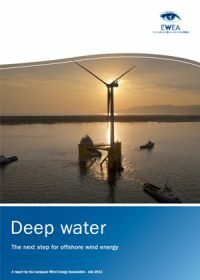 This report is based on the work of the ‘Deep offshore and new foundation concepts’ Task Force, part of the European Wind Energy Association’s (EWEA) Offshore Wind Industry Group. The Task Force evaluates the current situation and the steps that are needed for the large scale deployment of deep offshore wind energy. Between October 2011 and June 2012, 16 leading European companies researching or operating deep offshore projects met to identify challenges and provide recommendations to the industry and policy makers. The European wind industry has grown rapidly. Installed capacity has increased from around 13 GW in 2000 to more than 100 GW in 20121. A consequence of this has been a failure for skills development to keep pace. In June 2013 the European Council agreed on a comprehensive approach to combat youth unemployment. 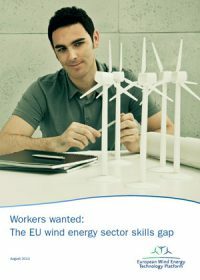 This report shows that the European wind industry can play a key role in combatting unemployment. Nearly 50,000 additional trained staff will be needed by the industry by 2030. By that year, operations and maintenance will become the greatest source of new jobs and demand for trained staff. The aim of this report is to provide an insight into the strengths of diverse policy design decisions across important existing markets. 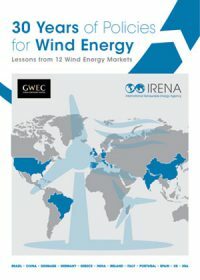 This report identifies and reviews significant policy and regulatory measures that have contributed to the successful development of wind energy across major markets in Asia, Europe, North and South America over the last three decades. The Global Renewable Energy Atlas is an open-access on-line resource intended to support well-informed energy policy and investment decisions. 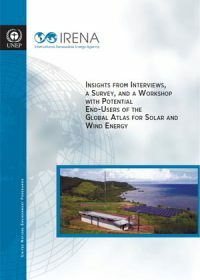 The International Renewable Energy Agency (IRENA) and the United Nations Environment Programme (UNEP) have compiled feedback from end-users during this first phase to provide guidance for subsequent Global Atlas expansion. This joint report compiles responses and makes recommendations from extensive end-user consultations. 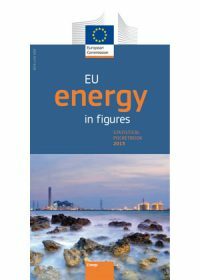 This publication provides an overview of the most relevant annual energy related statistics for the European Union as a whole and for each of its Member States, as of June 2013. The data contained in this pocketbook is drawn from several sources; the European Commission’s services; international organisations, such as the European Environment Agency and the International Energy Agency and, where no data is currently available, from the European Commission’s estimations. 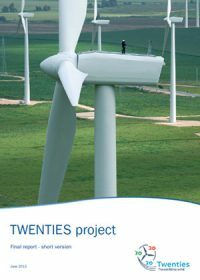 The TWENTIES Project (Transmission system operation with a large penetration of wind and other renewable electricity sources in electricity networks using innovative tools and integrated energy solutions) was coordinated by Red Eléctrica de España, the Spanish Transmission System Operator, and ran from 2010 to 2013. Its aim was to advance the development and deployment of new technologies facilitating the widespread integration of more onshore and offshore wind power into the European electricity system by 2020 and beyond. This report describes the main findings for each of the six demonstration projects. 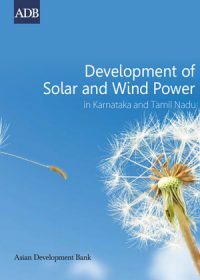 This publication analyses the performance of India's Karnataka and Tamil Nadu in their efforts towards installing solar and wind energy. It attempts to distil the reasons for their success, albeit using two very different renewable energy programs. It also covers the major initiatives taken by the country in the form of policy and regulations including the formation of a full-fledged Ministry of New and Renewable Energy, the Electricity Act, 2003, the National Electricity Policy, 2005, the National Tariff Policy, 2006, Rajiv Gandhi Grameen Vidyutikaran Yojana, 2005, and Jawaharlal Nehru National Solar Mission (JNNSM). 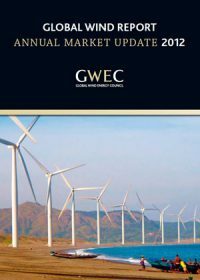 This is the eighth annual report on the status of the global wind industry by the Global Wind Energy Council. It provides a comprehensive snapshot of the global industry, now present in about 79 countries, with 24 countries having more than 1,000 MW installed. The data, insights and analysis for the country profiles in this report have been collected primarily through GWEC’s member associations and companies around the world, as well as from governments and independent analysts.